Home Base Spirits produces hand-crafted spirits and liqueurs highlighting California botanicals and sustainably farmed grains. Home Base Spirits produces high quality spirits and liqueurs highlighting sustainably farmed grains and California botanicals. Alexandra and Samantha Blatteis are twins born and raised in Oakland—their home base. Ali Blatteis is a professional artist, a proud rescue hound owner, and the older twin. Her favorite way to drink bourbon is neat or with a beer back. It's a toss-up. Sam Blatteis is a local agriculture advocate, avid moviegoer, and part-time potter. She prefers to drink Home Base Spirits in traditional bourbon or tiki cocktails, ideally in front of a California coastal vista. In 2011, the sisters were first inspired to start Home Base when touring a distillery that emphasized whiskey not just as a libation, but as an agricultural product that could support local farms. 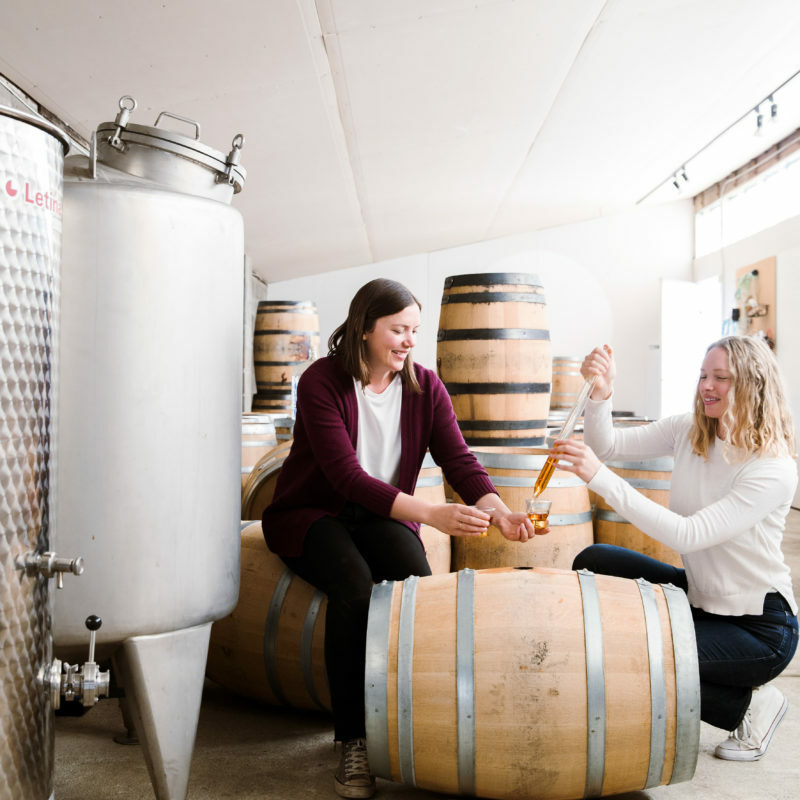 After years of research at local distilleries and small family farms, distilling coursework and studies, and through the founding a women's whiskey club, the Blatteises officially launched Home Base Spirits in 2015. 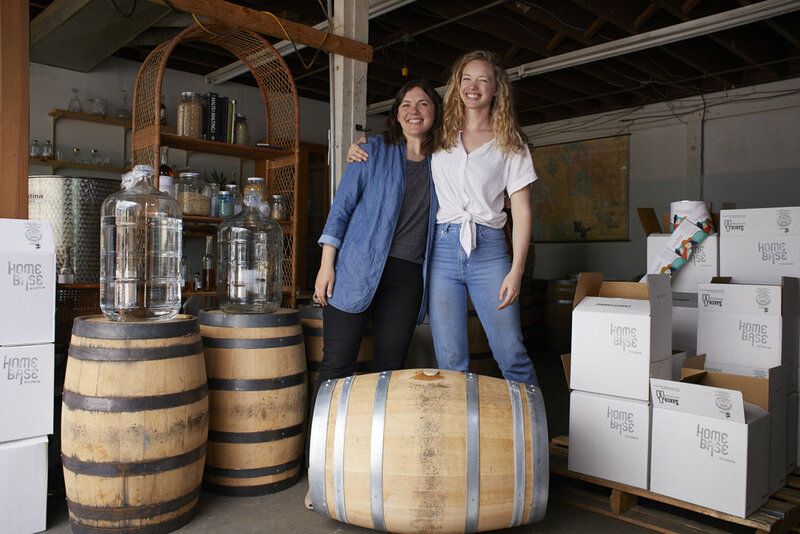 Home Base Spirits, a female-owned and sustainable business, believes whiskey should be fun, made with premium ingredients, and accessible for everyone. (Well, everyone over the age of 21.) We strive to be transparent about our process, ingredients, and mission: to celebrate spirits as an agricultural product by both sourcing and producing locally, and to create delicious spirits everyone can enjoy. Home Base ages, blends, and bottles our small-batch spirits in Berkeley, California. We develop strong relationships with local farmers who use sustainable growing methods to source our ingredients. We currently offer eight batches of bourbon, and will release single malt and single grain whiskies and liqueurs in 2018. Small batches are contract-distilled at local distilleries, then aged, blended and bottled in our new south Berkeley headquarters. We finish our batches in oak barrels and char for a light, sippable flavor. Sign up with your email address to receive news and updates, new stockists and release dates.